In Kemet there were both national and regional deities, sometimes with multiple forms. I thought it might be helpful to write a series of short posts looking at some of these gods and the functions that they served. Where better to start than the inventor of writing? 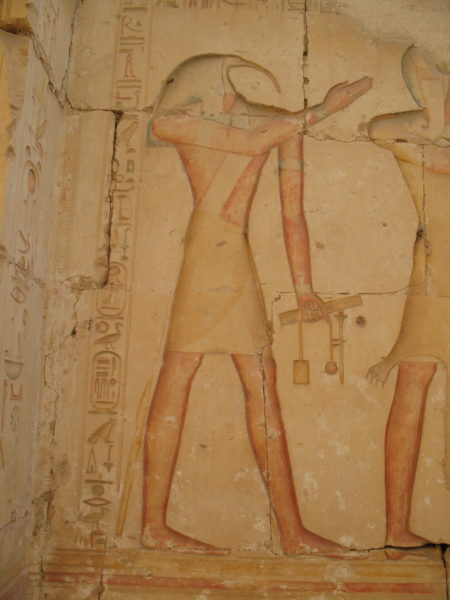 Probably better known as Thoth, his Greek name, Djehuty was the principal deity at a site called Khemenu in Middle Egypt. However, it is thought that he originated from the Delta because one of the administrative areas there had an ibis as its symbol, and Djehuty was depicted as an Ibis or with the head of an Ibis. One myth relating to his birth was that he sprung from the head of the god Set. Djehuty played a key role amongst Kemite gods. He was the inventor of writing. He was ‘Lord of the Moon’ and in this capacity he was also seen as the ‘Lord of Time’ and ‘Reckoner of the Years’. This is why he is often depicted holding a scribal palette as seen on the relief below. Djehuty, holding his scribal palette, ink and pen. Abydos. 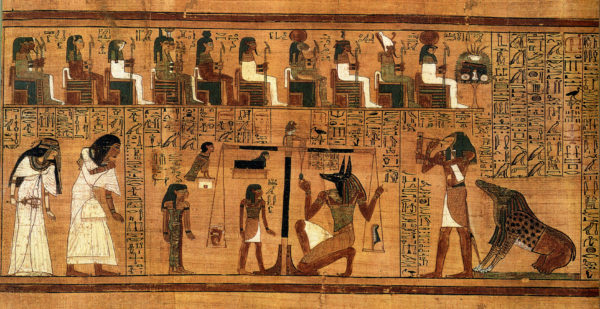 His links to the passage to the After Life can be found at the weighing of the heart scenes in tombs and on papyri. Djehuty was also seen as a protector of the god of the After Life: Wsir (Osiris), and this role would later be seized upon by the Greeks. Scene from the Book of Coming Forth by Day belonging to Ani. Around 1250 BCE. 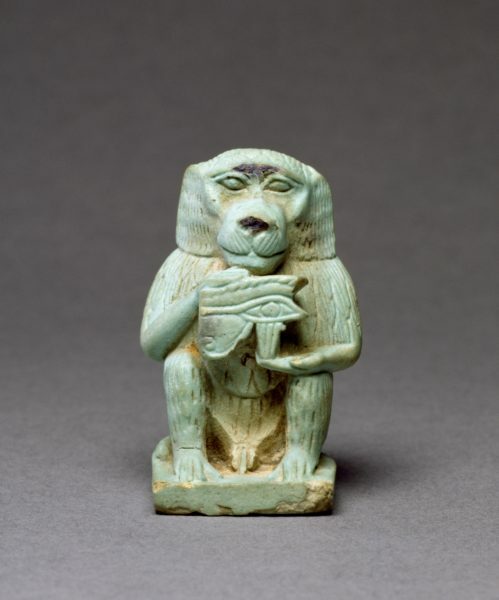 Djehuty in the form of a baboon. Walters Art Gallery. As noted Djehuty’s centre was at Khemenu, which was also home to a local deity Hedj-wer, who was depicted as a baboon. At some point in the New Kingdom the two deities seem to have merged and from this time we find Djehuty depicted as both an ibis and a baboon. The small faience figure above dates to the Late Period and shows the god holding the Eye of Horus. Later still, the Greeks saw Djehuty as an equivalent to their god Hermes and in fact the Greeks referred to the city of Khemenu as Hermopolis (the city of Hermes). It is thought that the link between these two deities was that Hermes was seen as a messenger, notably between the worlds of the gods and mortals, and that the Greeks also recognised this role for the more ancient Djehuty. What’s the story with this black resin used in mummification? It’s seems to be used as an explanation for the black complexion of many mummies.